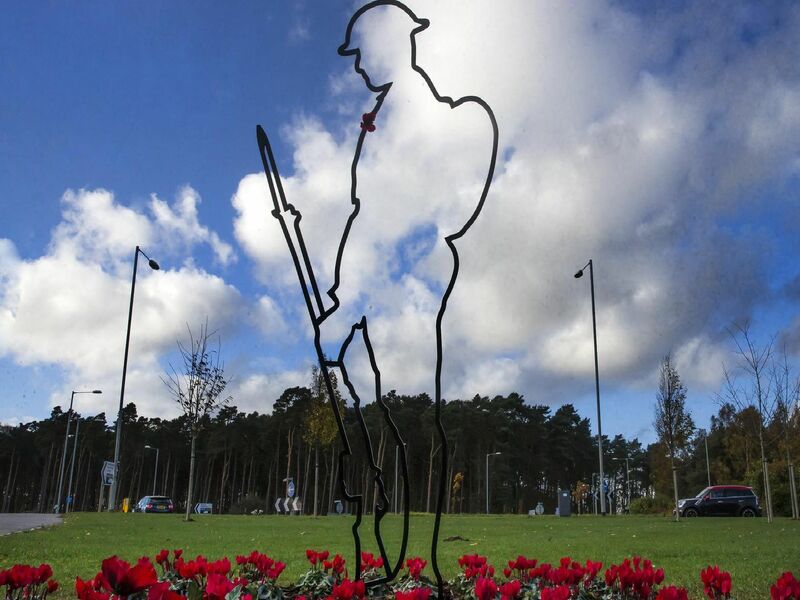 A husband and wife unveiled a Tommy silhouette in their community so their housing estate can remember nine fallen soldiers who used to live in Harlestone village. Jackie and Paul Kimbrey have been busy this year gathering signatures from residents on the three-year-old Harlestone Manor estate to mark Armistice 100. After handing in the signatures to the parish council, roads on Harlestone Manor were then named after nine fallen soldiers who lived in the village and died in the first world war. These soldiers were remembered at a ceremony in the estate yesterday (Sunday, November 11) before a Tommy silhouette, which councillors paid £750 for, was unveiled by the community. Read the full story here.